Atlantic South Region: Pickleball in Southwest Florida! 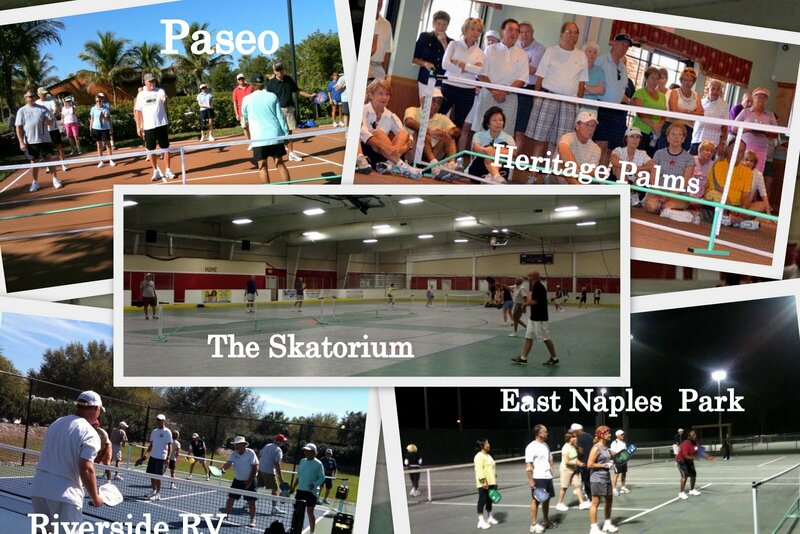 Pickleball in Southwest Florida has EXPLODED! "We recently did a clinic at Riverside RV Resort in Arcadia. They have a brand new Pickleball court and about 40-50 people eager to learn how to play. They started playing a couple of years ago in the parking lot and when the insurance company said they couldn't do that, the management built them a court. We recently did two clinics at Heron's Glen in North Ft Myers. They have six tennis courts that they tape off each Tuesday and Thursday afternoon. They have just petitioned the Community Association to be recognized as an official sport at Heron's Glen. They have about 40 regulars and 50-60 more waiting to learn this exciting new sport. They have asked us to come back! I am sendig photos of the following clinics and communities that we have been to this past month. Paseo, Heritage Palms, Riverside RV Resort, East Naples Community Park, and The Skatium in downtown Ft. Myers. We also did a presentation for the Florida Recreation and Park Association (FRPA). This was an hour long class with the focus on how to market pickleball to your recreation center participants. We used a power point and the USAPA video as well as "hands on" letting them hit a ball over a net that we set up. And we recently met with the City of Ft. Myers who contacted us after reading all the articles in the paper saying that Lee County needs more courts. They have a Skatium that will hold at least six courts. They taped a court and we took a net and paddles to see how the ball bounced on their floor. It is used as an indoor soccer field and roller hockey rink at various times during the week. They are going to open for Pickleball on Thursdays from 6:15 to 8:15 and Saturday morinings from 7:30 to 10 am. If they have good response, they are willing to open it everyday for Pickleball." This is just a couple of month's work for these two and all while they were spearheading the pickleball events for the Collier County, Lee County and Charlotte County Senior games. Nancy and Cindy, would love to hear more about how to market pickleball to our private community.